Posted on June 19, 2017 June 27, 2017 by Heather W.
We recently made a trip to the store to pick up all of our home care items; toothbrushes, toothpaste, toilet paper… those types of products! I was so thrilled to have the bathroom stocked up with all the essentials, but soon realized I was left with several Tom’s of Maine cardboard boxes that were the perfect size for crafting. 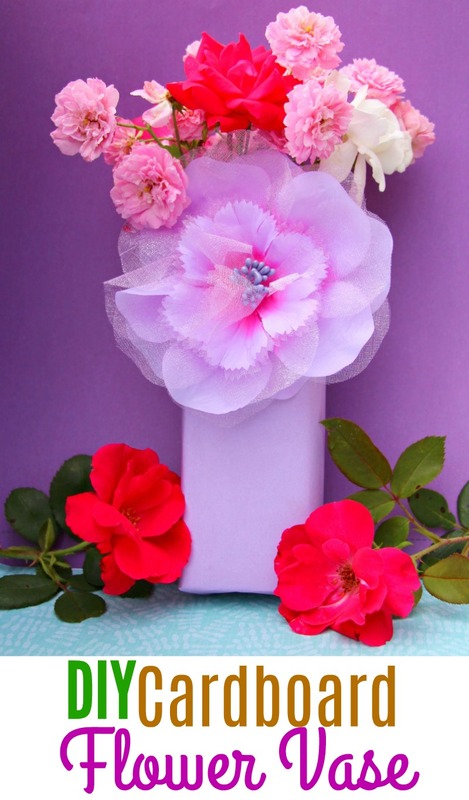 With three kids currently on summer break, I decided this was the perfect opportunity to create our first summer DIY project and make some cardboard flower vases to fill with the beautiful flowers that are growing all throughout our yard! This is such a simple and inexpensive craft, all you need is small toothpaste sized boxes, some craft paper, and items to glue on the boxes is optional. You are going to literally wrap the box like a present, making sure to leave the top open (push the paper inside of the box on that one side and tape in place. 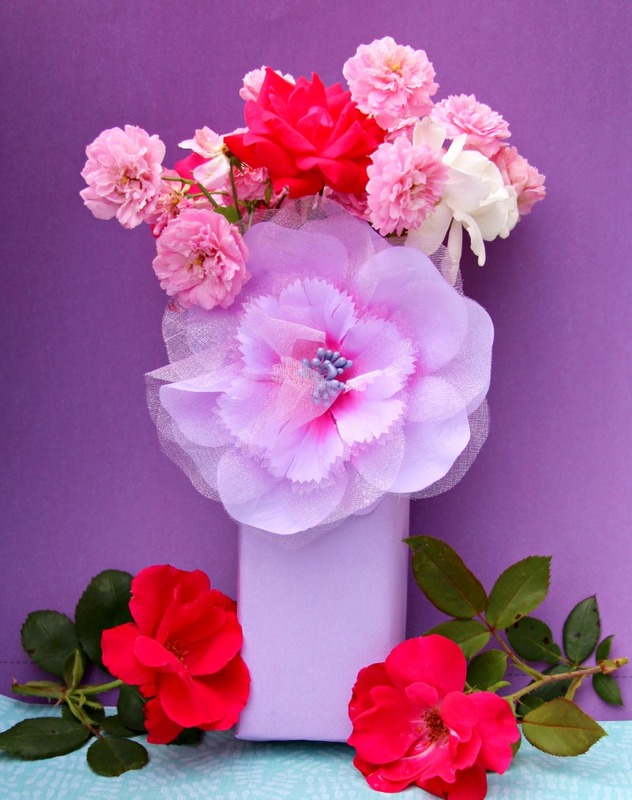 Place some fresh flowers inside and you are done! Teaching my children to be more conscious about the waste they put out into the world is extremely important to me. I am always looking for ways to help them be less wasteful and find ways to upcycle items instead of instantly tossing it into the trash. Tom’s of Maine is a brand that I have been a huge supporter of for many years (not only because I was born and raised in Maine) but because they follow the same natural and ethical beliefs. 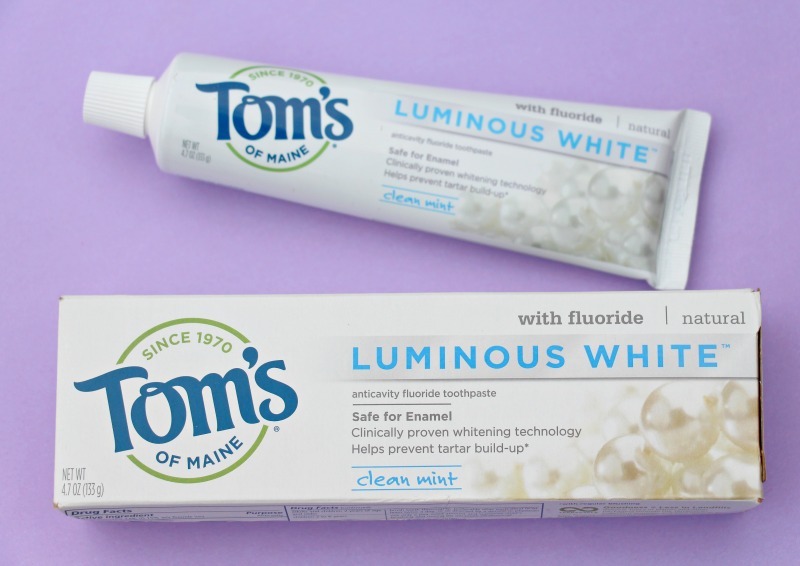 We have used their items for many years and have become especially fond of the Tom’s of Maine Luminous White Toothpaste. I am always reading ingredients on products and making sure they are safe, but with Tom’s of Maine I don’t have to worry about that! You can always expect that their products will not contain contain any artificial flavors, colors or preservatives and no animal testing. 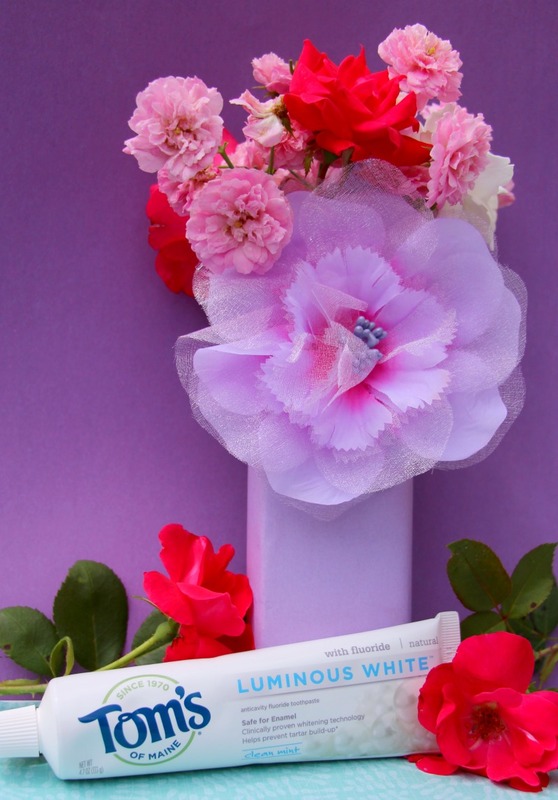 The Luminous White whitening toothpaste offers you a safe and effective way to whiten your teeth with a product that uses only naturally-derived ingredients that work to remove surface stains for whiter teeth in two weeks. So how does it get your teeth so clean without invasive measures? The Luminous White toothpaste uses two types of high cleaning silica to gently and safely remove surface stains. Looking for a fun craft and safe way to get whiter teeth? Then you came to right place! 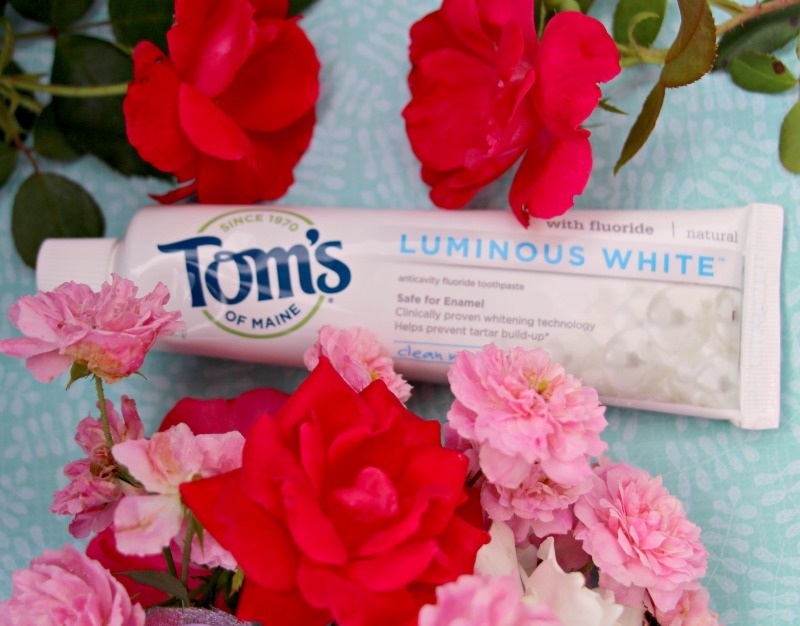 You can find Tom’s of Maine Luminous White Toothpaste sold at your favorite retailers; Walmart, Target, and Amazon!